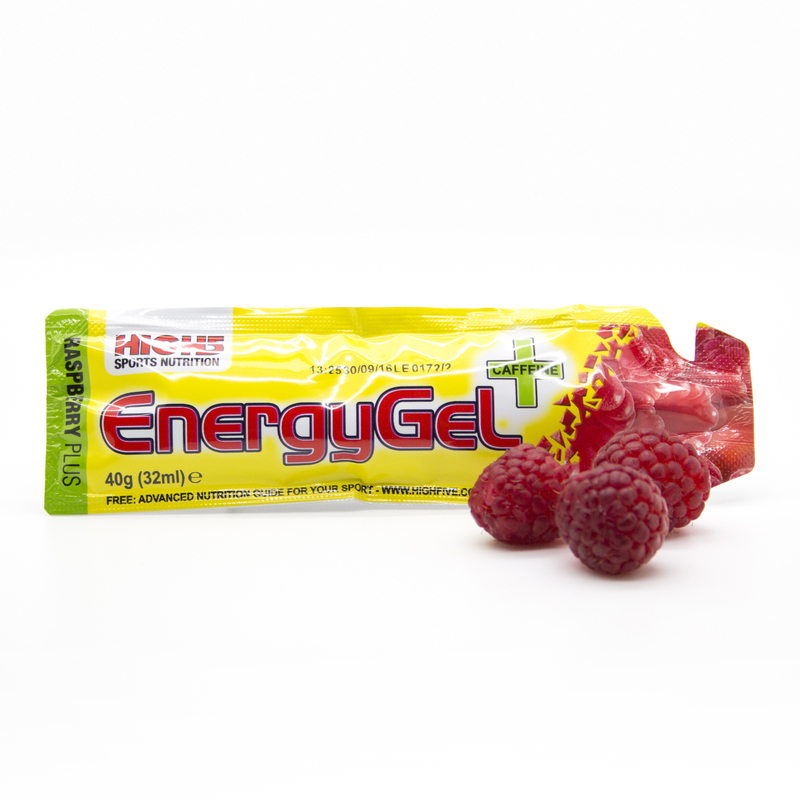 Home › EnergyGel Plus: Real juice gel that’s not thick or sweet. With 30mg caffeine. An energy gel is a convenient instant energy boost during exercise. 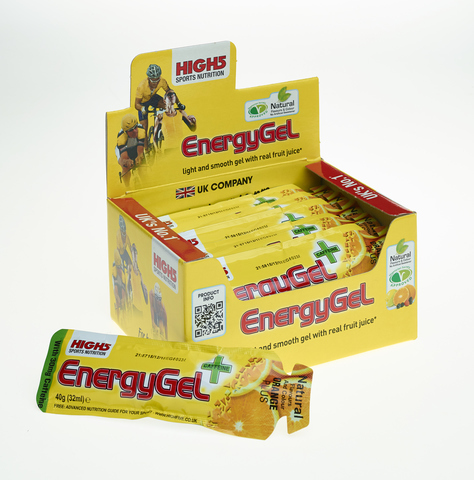 You simply open the top and take it straight from the sachet. When endurance racing you should always ensure that you are also well hydrated. ZERO is a great partner product for EnergyGel Plus. 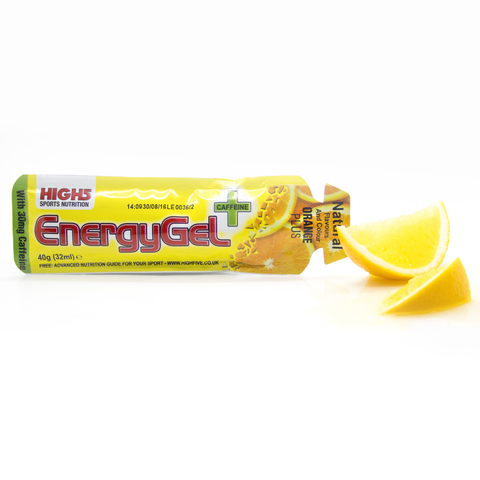 Which HIGH5 gel to choose: EnergyGel Plus or IsoGel Plus? There is no right or wrong answer: they both do the same job, it’s simply down to personal preference. 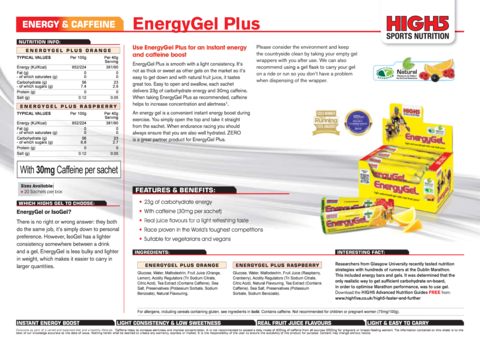 However, IsoGel has a lighter consistency somewhere between a drink and a gel. EnergyGel is less bulky and lighter in weight, which makes it easier to carry in larger quantities.